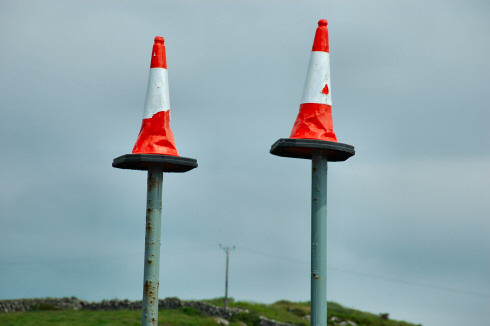 Islay might not have a Magic Roundabout or even any traffic lights, but it has some high traffic cones to confuse drivers. For more information where this is try my Two Traffic Cones special page. I'm not the only one who noticed them though: Red & Lids noticed them during their visit in late April (see also my Recent Islay Visits And Pictures entry). If you live on Islay or have recently visited let me know in the comments if the cones are still there?